The logistic centers in Europe and Asia are one of the backbones of our company. Not only do they ensure delivery performance and flexibility but also the thorough quality inspections of all shipments. In Denmark and China the large stocks are one of the reasons that we are able to promise fast deliveries on all markets. In a time where most organisations are reducing their inventory levels to cut costs, we have chosen to go the opposite way. In most cases one might say that we are the stock of our customers. With more than 70,000 motors and numerous kilometers of chains and belts we are almost always able to deliver directly from stock. 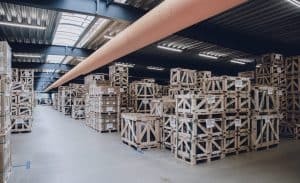 The warehouses play a crucial role in our quality setup where they are responsible for the quality inspections of incoming goods as well as for every shipment send to our customers. We never ship directly from the production sites to our business partners for the simple reason that we believe in profound control and testing to minimise errors. Our specialised workshops have two overall objectives. To rebuild standard products according to customer requests and secondly to ensure a flexible stock in case of unforeseen events and projects. In Europe there are 3 separate workshop divisions; electric motors, gears and chains. 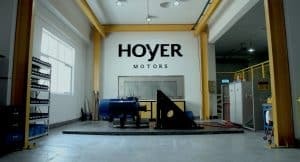 In Asia the workshop is handling electric motors and gear motors. The main focus in our workshops however is rebuilding and optimising electric motors. Furthermore we are certified to rebuild our entire range of explosion proof motors. The in-house testing center is designed to offer on-demand testing of our motors. Without the need of involving third party test centers, we are able to perform various tests according to IEC 600034-2-1. In case of special testing requests or classification of non-tested motors our customers are guaranteed a flexible and time efficient testing process. This is further supported by a strong collaboration with class societies and their teams of surveyors.